At Mountain Side, we are all about having fun and being calorie neutral (mostly) which is why a hike before cold drinks just makes perfect sense for us. 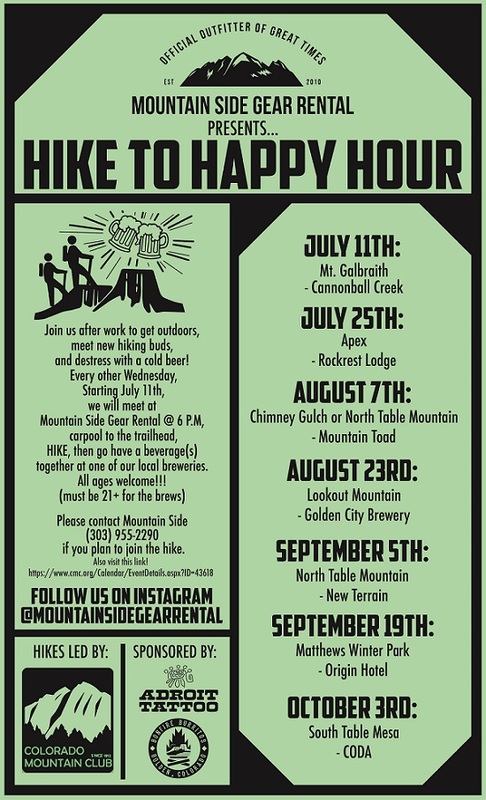 Join us every other week as we hike a trail around Golden and then celebrate our fortitude with a cold beer at one of our favorite breweries or drinking holes in Golden. Sign up through our friends at Colorado Mountain Club on their Trips Page.